I’ve been on this diet for over 2 months now. 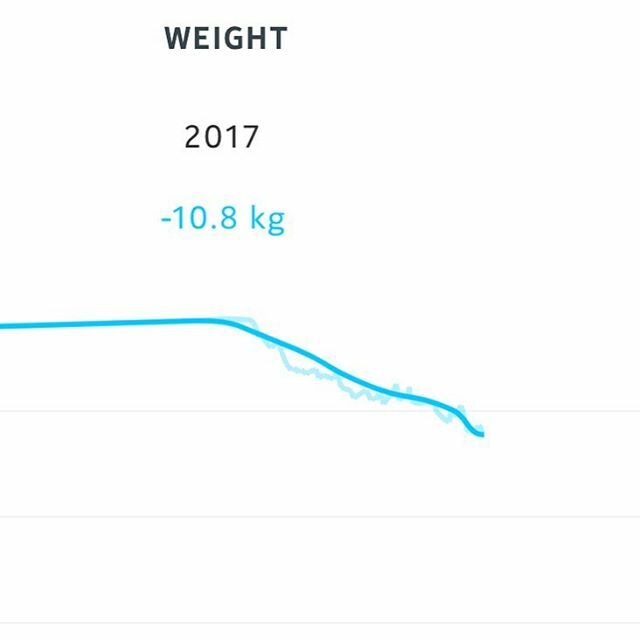 So far I’ve lost over 10kg, which isn’t bad going, but I know I need to lose quite a bit more. Actually a LOT more. But how much weight I need to lose and how quickly I need to lose it isn’t really an issue. Why? Changing my diet as drastically as I’ve done was a significant change. My relationship with food and cooking has had to evolve. 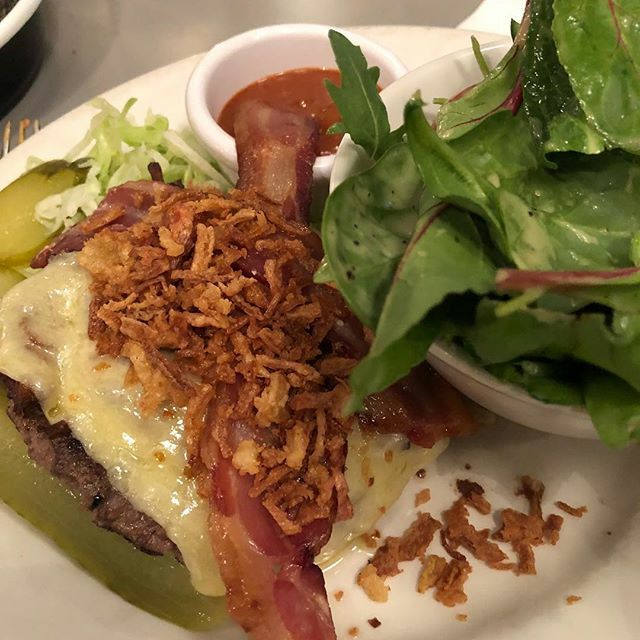 That evolution is still ongoing, as I’m now experimenting with different dishes that meet the requirements for the ketogenic diet and lifestyle. When I’m at home I weigh myself religiously every single morning shortly after waking up. I’ve no idea if that’s the best time of the day to weigh myself or not, but I’m consistent, which I think is the most important thing. Some days my weight will have dropped. Some days my weight will have gone the wrong way entirely. I keep a close eye on my progress (or lack of it) with the Nokia Health Mate app, which gives a very satisfactory push notification when I hit a new low. I’m doing my best to log what I eat with MyFitnessPal. It doesn’t give me that same satisfying sense of accomplishment when I make big progress, but it does help me keep track of what I’m eating and how my weight is moving slowly closer to the goal I’ve set. Apart from changing my diet I’ve also changed some aspects of my lifestyle. I’m going to bed earlier. I’m still going to bed later than a lot of people, but these days I’m often in bed around midnight, which is a lot saner than going to bed around 2am. I’m sleeping more. Overall my average number of hours sleep has improved. It’s still not optimal, but it’s been moving in the right direction. My brother-in-law installed blackout blinds for me a couple of weeks back, so I’m no longer being woken at dawn, which definitely helps. I’m getting up earlier. I used to drag myself out of bed around 8am most weekday mornings and then struggle to get myself moving and into the office. These days I am usually up, showered and dressed by 745am. Having to cook breakfast every morning has changed my approach to mornings. I have a fairly healthy salad for lunch 5 days a week. While repetition might seem boring having salad for lunch every weekday is far from boring. I vary the ingredients and I’ve been enjoying making rich salad dressings to go with my salads. I have more energy. Sort of. I feel more flexible. One of those things that you notice over time. Generally I feel a bit more flexible. I’m not going to become a gymnast, but I’ve definitely got back some of the flexibility that I’d lost over the past 10 years or so. But as I mentioned this is all about being slow and steady. Previously I’d tried diets that were either too finicky or just plain complicated for me to adapt to. The ketogenic (low carb) diet is relatively easy to stick to and seems to suit me. I still miss certain drinks and foods, but overall I’m not exactly miserable nor am I constantly hungry. If you have the time and energy you can put together your own salad bowl, but I often find that salad ingredients go off faster than I get to use them. The other thing you have to be careful with is, oddly enough, carbs. While onion and carrot might seem innocent they both carry quite a a lot of carbs, so you need to keep a close eye on your consumption. Most supermarkets sell “salad bowls” of varying kinds, with pricing from around €1.50 up to €3 or more. Making your own might be a bit cheaper, but it’s a “toss up” (if you’ll excuse the pun). Aldi, however, have taken a totally different approach with their “bag ‘n bowl” range. 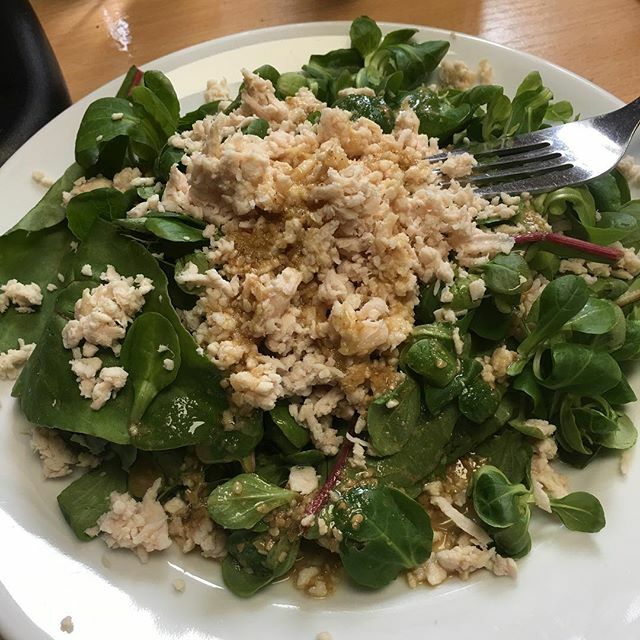 You choose between a range of greens (baby kale, mixed leaves or rocket), choose a protein (ham, turkey, chicken or falafel) and then choose a sauce. Total cost? Just over €2 if you buy all three items. Personally I’ve tried the sauces and most of them aren’t low enough in carbs to work with a ketogenic diet. A simpler solution is just to get the leaves and the protein from Aldi and use my own homemade salad dressing or one of the pre-mixed salad dressings that you can get in so many shops. 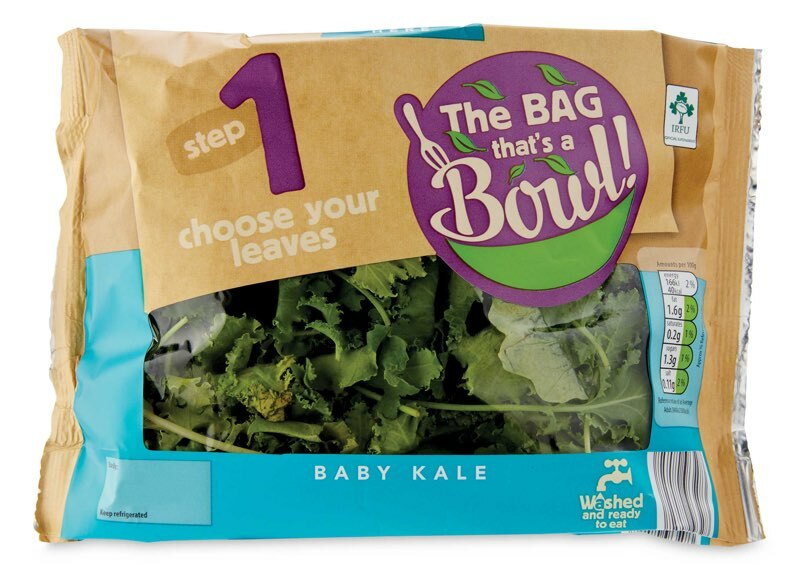 The bag of kale leaves was only 65c, so if you get bored with the Aldi range of protein options you can easily choose your own. I love pasta, but it’s heavy in calories and carbohydrates. Pretty much every single diet out there suggests cutting calorie and carb intake. So how on earth can a pasta aficionado be happy with what they eat, while also cutting down on calories etc? I’ve always maintained that it would be impossible for me to stick to any kind of diet that deprived me of tasty food. Sure, I might lose weight a lot faster if I was to go on some crazy extreme diet, but I’d be miserable. 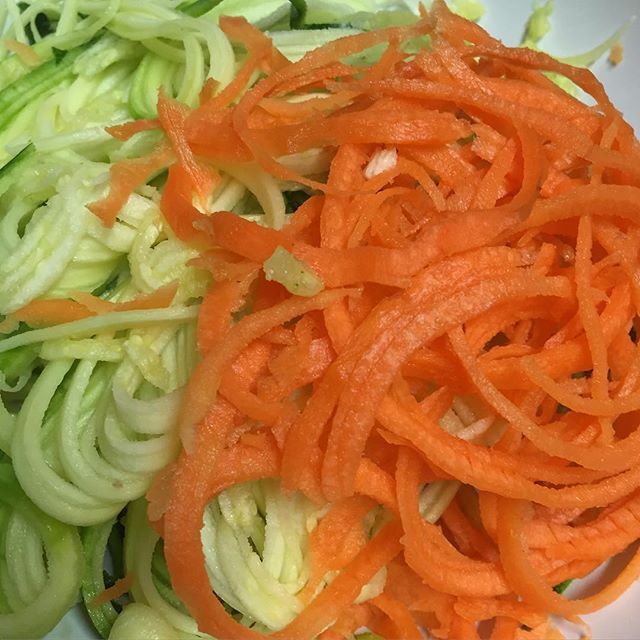 The spiralizer might be a solution. 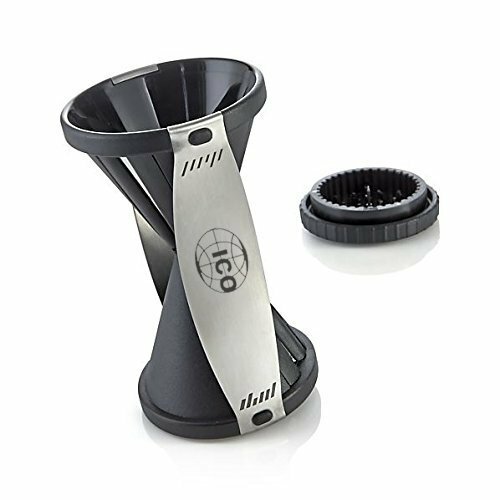 I’m not sure when spiralizers became popular, but they are one of the “must have” kitchen gadgets at the moment. Adding a bit of olive oil, balsamic vinegar and herbs and you have a very tasty salad. But another popular way of using the spiralizer is to replace pasta or noodles. Want spaghetti without the calories? 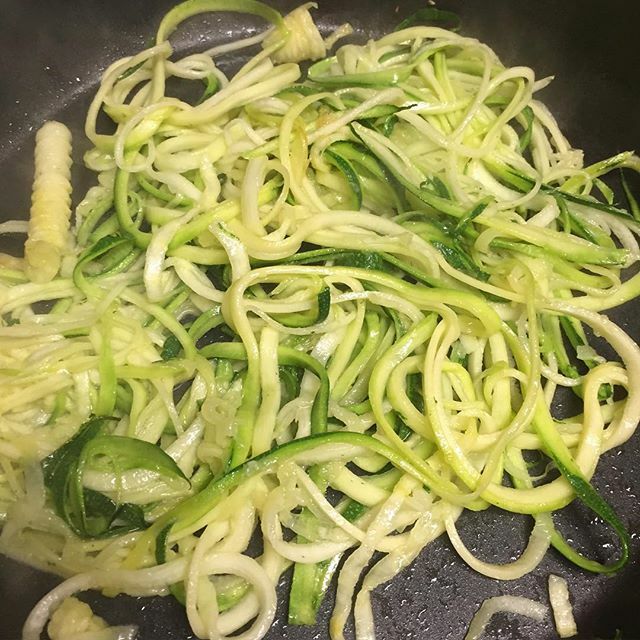 Try “courgetti”, which you can make in your spiralizer using courgettes. Frying them for about 4 minutes they become quite crisp and are of a similar consistency to al dente pasta. Serve with your favourite pasta sauce and enjoy! I’ve been back in Ireland for a couple of days and I’m trying my best to “behave”. That means eating a relatively healthy breakfast (Alpen muesli without added sugar washed down with coffee) and having lunch in the canteen at work. 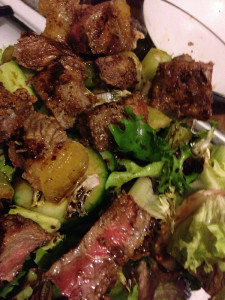 In the evening I’m back to cooking, so I’ve been eating plenty of fresh vegetables. 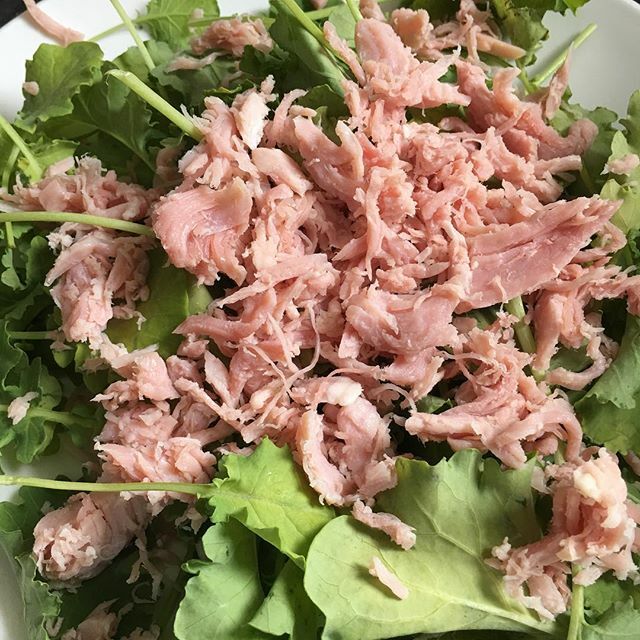 I love salads, as I’ve said before, but there’s only so many times you can have tuna .. So making a steak salad, like I did last night, makes it all a bit more interesting. I won’t share a recipe, as it’s so simple that a recipe would be overkill. Simply prepare a mixed salad as you would normally. While you’re doing that your George Foreman grill can heat up. Personally I like my meat rare to medium rare, so depending on the cut of steak the cooking time will vary from a couple of minutes to a few seconds. SuperQuinn’s meat counter is always a good place to get a nice steak and they’re currently running an offer on steaks, so I picked up a very nice one for a couple of Euro on Sunday afternoon. I don’t use salt in my cooking anymore, as I’m getting plenty of salt already via other foods, so I just let the steak grill in its own juices with possibly a bit of chilli or similar to give it a bit of a “kick”. While Ireland isn’t exactly renowned for its good weather, we have had reasonably good weather for the last few weeks with even a few days that could be considered “hot”. You can eat salads all year round, but it’s definitely “easier” to do so during the summer months. Apart from anything else shops seems to stock more salad related ingredients and run more offers on fresh vegetables. At this time of year I try to have salad most days. I say “most days”, as having salad every single day can get a little bit boring. So varying the ingredients can help a lot! olives – stoned obviously – there’s nothing more annoying than ending up biting into an olive and nearly breaking a tooth! mushrooms – wonderful if they’re fresh. If they’re a bit “tired” you’re better off cooking them. What’s amazing about a good salad is how full it makes you feel, yet the calorie count (depending on the ingredients) is still quite low.. I am not a vegetarian. I was a vegetarian briefly back in 1991 when I was sharing a house with a few vegetarians and my girlfriend at the time was vegetarian. I like meat. I love eating pretty much every type of meat imaginable, so the idea of me becoming vegetarian or vegan just wouldn’t fly. However that doesn’t mean that I eat meat every single day and that I can’t enjoy good food made with lots of fresh vegetables, pulses and other tasty non-meat ingredients.. 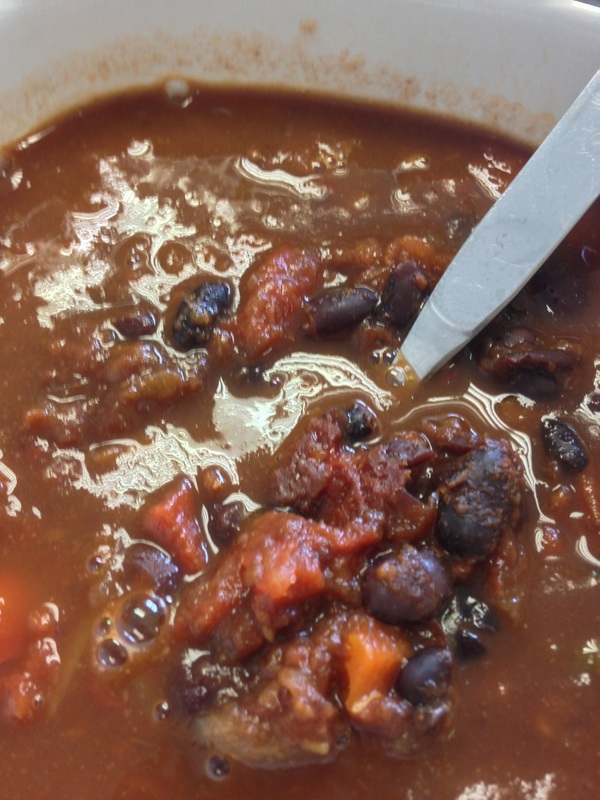 This week, for example, I’ve been mostly eating salads and vegetarian pasta dishes in the evening, while during the day my lunch is primarily vegetable focussed. With the weather slightly warmer, by Irish standards, switching to eating fresh salads is great. They’re quick and easy to prepare and you can vary them by swapping around extra ingredients and using your imagination. Soups on the other hand are something I always buy in. As Paul suggested, making soups isn’t that hard, but so far I haven’t risen to the challenge! Amount of meat included? Zero. “Cooking” it is simple, just pop it in the microwave for a couple of minutes and you’re done. But more importantly, in my opinion, the soup is damn tasty! While my weight loss progress hasn’t been stellar over the last few months at least I’m not piling on the weight and I’m happy with what I’m eating, which is very important for me. Eating more fresh fruit and vegetables can’t hurt, though I haven’t dumped meat from my diet and I have no intention of doing so.